Retrospective showcase of artist and musician’s most definitive work opens at the Lazirides Gallery in London on Friday. 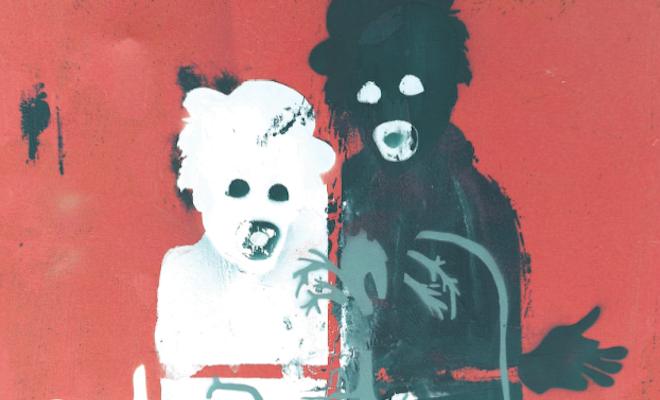 The exhibition, which will run from 24th May to 20th June, will collect previously unseen pieces created for Massive Attack’s 2010 LP Heligoland alongside a wealth of archival material that has come to define the Bristol band’s iconic visual style over the last twenty years. Exhibiting “digital mirror pieces” from his ongoing collaboration with UVA from on Massive Attack’s live shows alongside unseen work from 1991’s Blue Lines and 1994’s Protection, “Fire Sale” spans the length of 3D’s extraordinary output, which occupies an elusive and outspoken space between graphic design, graffiti and fine art. 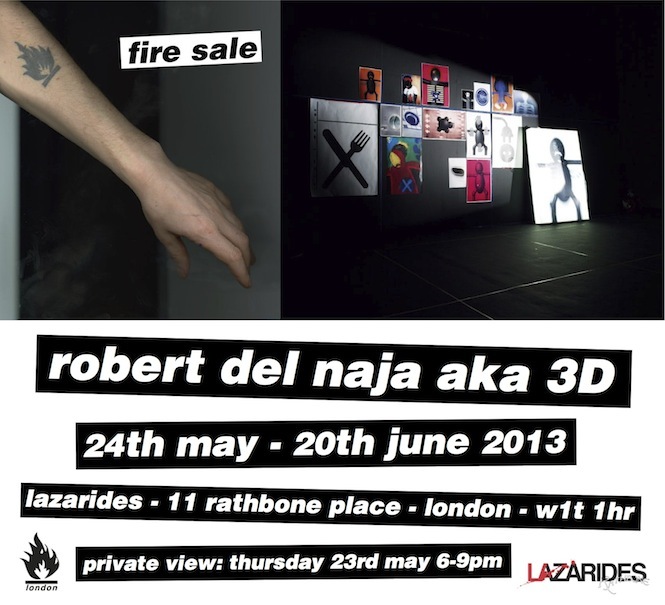 Robert Del Naja has also slated the book ‘3D / The Art Of Massive Attack’ for publication later this year. Check out Massive Attack’s releases with The Vinyl Factory here. Visit the exhibition between 24th May and 20th June at Lazarides Gallery, 11 Rathbone Place, London W1T 1HR.